Discover London tours, London Duck tours, Tower of London plus Thames River cruise; Windsor & Hampton Court; Salisbury & Stonehenge; Leeds Castle, Canterbury & Dover; Stonehenge & Georgian Bath; Oxford, Stratford & Warwick Castle and more. The Tower of London is one of the most popular of London's Landmarks. Built by William the Conquerer starting in 1066, as a fortress, the tower later became a prison where the famous lost their heads at the Bloody Tower's chopping block. 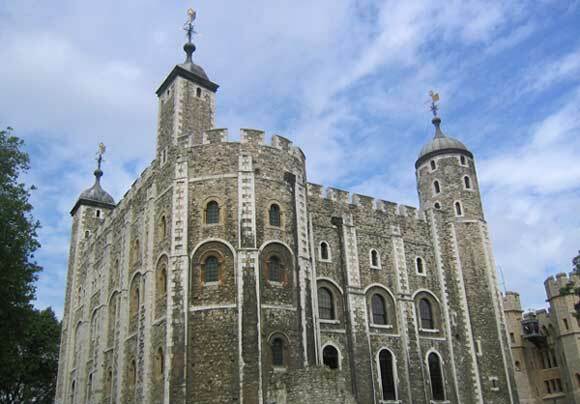 Among the Tower's famous "guests" were Sir Walter Raleigh, Princess Elizabeth I, Anne Boleyn and Catherine Howard, two of the wives of Henry VIII; Lady Jane Grey, queen for just nine days, and Sir Thomas More. Today the Tower is home to the Crown Jewels, the Royal Armories, 40 Beefeater Yeoman Warders who guard the Tower and the famous ravens. The Tower is located next to the Tower Bridge and within what was once Roman London.